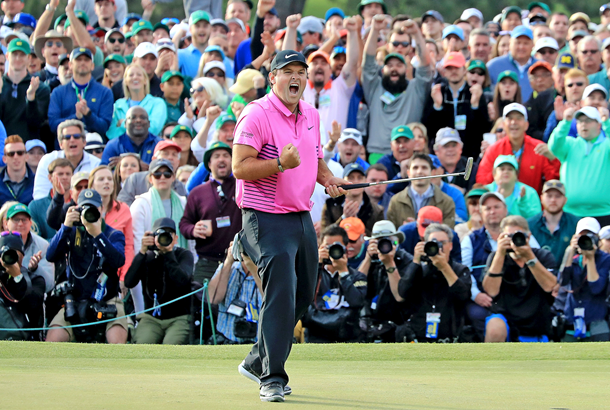 Patrick Reed knew he was going to win the Masters long before anyone else did. Never mind things like nerves or a slender one-shot advantage. Finding the fairway off the 18th tee on Sunday was enough to convince him that the job was done. "I knew at that point the tournament was over," the 28-year old tells us. "I knew I was hitting my irons well and putting well, so that was an absolutely amazing and fun walk off that tee box." Some might mistake such confidence for arrogance, but Reed merely shrugs at the suggestion. Such bravado has made him one of the most polarising characters in golf, and yet he seems to revel in playing the pantomime villain. 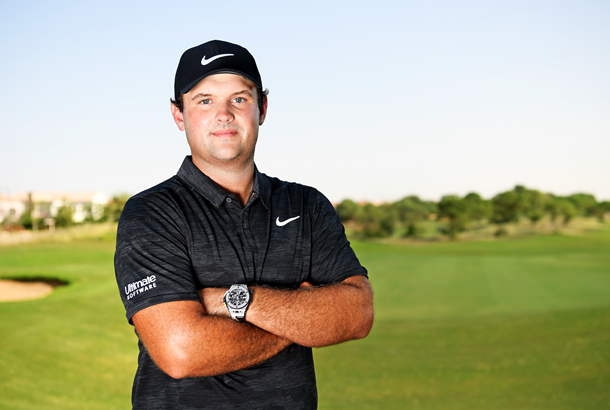 Few would dare to shush crowds or rant and rave about their Ryder Cup team-mates publicly, let alone be bold enough to call themselves "Captain America" or a "top-five player" in the world at the age of 23. But Reed cares little for what people think. He is estranged from his parents and since he cultivates few friends on tour, he almost exclusively plays practice rounds on his own. Such reclusive tendencies mean he's unlikely to win a popularity contest any time soon, so you can imagine our hesitancy – and surprise – when golf's greatest enigma agreed to provide us with a course guide of Augusta. We expected someone curt, aloof and egotistical, but what we got was a pleasant, engaging and, dare we say, very likeable individual. If it was an act, it was perhaps second only to his Masters masterclass as his greatest performance. But more likely, there is more than meets the eye to someone whose will to win is as admirable as it is suffocating. It does mean that he sometimes takes his frustration out on others, often to the detriment of his reputation and relationships with fans and fellow golfers. But to criticise him for saying what he thinks does strike of double standards, especially as that's what we ask and want of every golfer. How to watch the Masters in the UK? Do you still think about and relive holing that winning putt? Of course. With it being my first Major, it's hard not to think about it. Throughout the entire week, I had lots of ups and downs, and lots of tests. Over the last year, I've pulled from all those experiences, knowing I've been in that situation before and what I need to and have to do. Those are the things which have been as important as winning. What are you most looking forward to about going back and defending your title? Everything really. The drive down Magnolia Lane. Seeing my jacket in the locker room will be pretty awesome. And then the Champions Dinner is going to be a highlight, of course. Have you decided what's going to feature on your menu yet? It's definitely going to be some kind of steak, a tomahawk or rib eye. I haven't completely finalised it yet, but there will be a Texas-meat vibe going on. I can't wait for it. Not only to create the menu, but to sit with all the past champions and hear the stories from some of the older guys and the experiences they've gone through over the years. When you look back over your record at Augusta, do you think you were maybe guilty of trying to play too aggressively in the past? Yeah, that was exactly it. I was almost trying so hard to gain shots on the holes I thought I should birdie that when I didn't, I felt like I was behind the field. I would start pressing and pressing, but it's a golf course that if you press too hard, it will really bite you. You need to know where to hit the ball and where to putt from. The moment you start trying to be really aggressive, you start putting yourself in bad spots. I feel like, because I'm an aggressive player and like to take risks, my strategy was just all wrong. That week, I decided to play really methodical and smart and let my wedge game and putting shine. I was able to give myself lots of opportunities to make putts and when I didn't make a birdie, I was still making a lot of stress-free pars. What is it about Augusta that makes it so tough? The funny thing is, I always used to watch the Masters on TV and thought, the slopes don't look that bad. But I remember when I first turned up, being taken aback by the terrain, how hilly it is, and the number of slopes there are. The TV does it no justice at all. The crazy thing about Augusta is that there's no one hole you can actually relax on. You have to be fully engaged and focused on every shot. You can have the perfect game plan and know what to do on every hole, but you've got to execute the shots. It's hard to aim away from flags, but there are some holes where you've got a pitching wedge or 9-iron in your hand and are purposely trying to hit it to 30 feet away from the pin so it rolls towards the flag. It's hard mentally to think that way. So many times I've gone right at the flag, seen my ball land six feet from the hole and watched it roll to 30 feet, leaving me with an impossible putt. One of the keys to your success was playing the par 5s in 13-under par. Do you feel like that's where the tournament is won or lost? 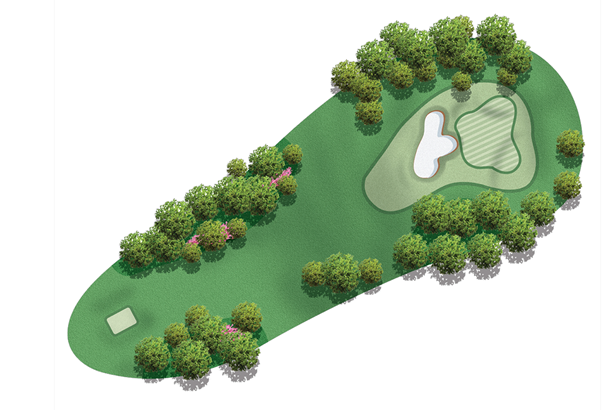 The par 5s are massive at Augusta. If the wind is favourable, two is reachable. The same with eight if it's downwind. Thirteen is reachable, no matter what the wind is doing, and 15 is technically reachable in certain directions. That's probably the hardest one to get to and keep the ball on the green. But you have to play well on the par 5s to have a chance. They're technically supposed to be the easy holes, and there are plenty of others out there which are very difficult and leave you scrambling to make pars on. So, you make up your shots by playing the par 5s well. That was the important thing when I won; hitting the ball straight off tees on the par 5s and being able to attack from the fairway. From there, getting the ball either on the green or close to it enabled me to make the occasional eagle and lots of stress-free birdies. Now you've got your first Major in the bag, do you feel like it's a question of how many now? I'm taking my win at Augusta as a stepping stone; just the beginning. I want to continue to get in the hunt late on Sunday in Majors and try to win multiple. I don't want to settle for just one; I want to win all of them and the career grand slam. I believe I'll definitely have opportunities to win multiple Majors in a year. I've always really enjoyed 11 and 12. If you took away the water and the trees on No.12 and drop a bucket of balls, every one would probably be within seven yards of that flag. But as soon as you put the hazards back, you have guys hitting it everywhere. If you can get through 10, 11 and 12 unscathed, it gives you a real confidence boost. "Half the battle is getting off the tee at Augusta. What happened to me on Sunday is that I overdrew my opening tee shot and hit it in the left trees. 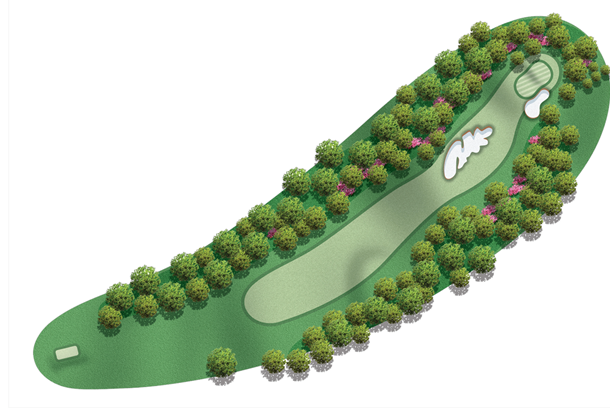 What Augusta does so well is that the trees are cut so you can feed the ball underneath them. But when you're playing a low runner, the greens are so hard and slopey that keeping the ball on them is almost impossible." 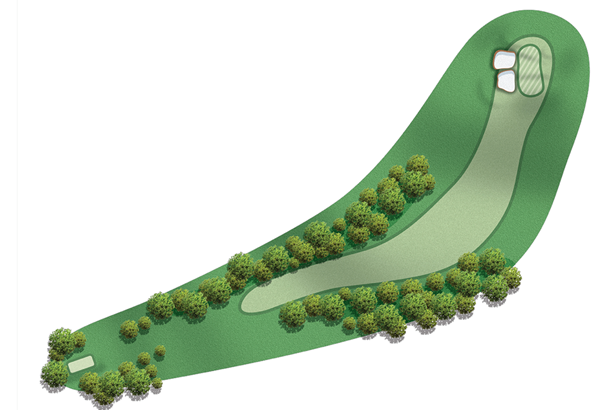 A slight dog-leg played uphill and requiring a precise second to an undulating green. Drives to the left may catch the trees but take care to avoid the bunker on the right. REED SAYS... On paper, it's short, but for some reason it gives guys a lot of issues. Firstly, because it's the opening hole at Augusta and, secondly, you have to hit a perfect approach shot to get the ball to stay. The green has a false front which makes it pretty intimidating. A dog-leg left which may be reachable in two. Large, deep bunkers require special attention on the second shot. REED SAYS... This is probably the first birdie opportunity. If you can keep the ball on the fairway off that tee, you've got a good opportunity to hit the green in two. Even if it's into wind, you can hit a 3-wood and reach. The two bunkers are not a bad spot. The goal is to get the ball in play off the tee and to play aggressively from there. A short par 4 which is a real risk/reward hole. Players can either take an iron/hybrid to leave a full wedge in, or go aggressive and try to knock it close with a driver. Trouble starts at the green, which has severe slopes from right to left. REED SAYS... Most guys just hit an iron off the tee and then a little wedge shot into the green. But that's not the hard part. The green slopes hard from right to left which makes any putt really tricky. A long par 3, often made difficult by deceptive wind. REED SAYS... One of the hardest par 3s on the course. Even though it's downhill, it's still a very long hole and the green slopes back to front. For me, it's between a hybrid and 4-iron. Now 40 yards longer for 2019 with the tee moved back. 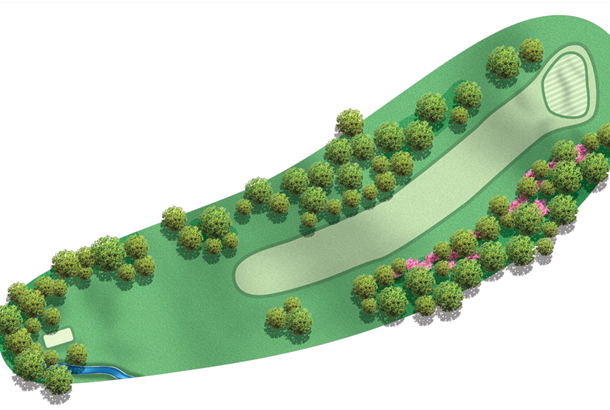 The extra yardage means the two bunkers left of the fairway, which players could hit with a 3-wood, now require a 313-yard carry to get over - so expect this hole to play tougher this year. REED SAYS... Avoiding the two left bunkers off the tee is a must. If you're in the fairway or barely in the right rough, the green is very accessible. 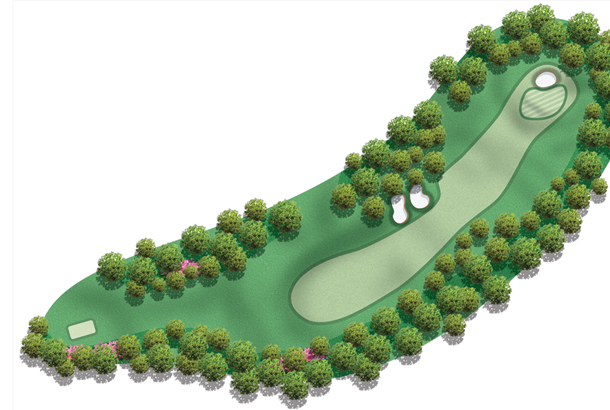 It has a big ridge running through the front half of the green which stops the ball from running up. 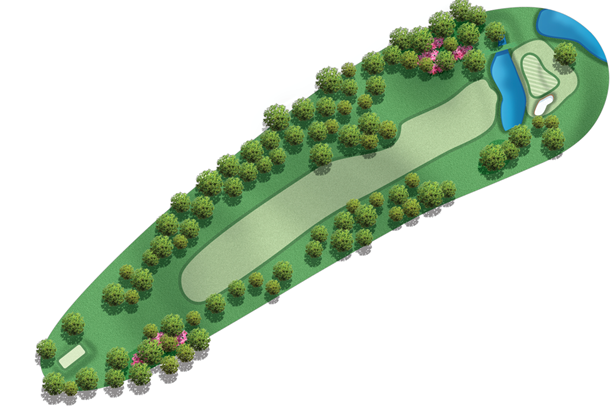 An elevated tee and a large target are features of this par 3. A significant difference in elevation from front to back makes the pin location very important. REED SAYS... It may be short but the green slopes so severely from back to front that it's difficult to make birdie. I've only had one here in my whole career. There's a little quadrant on the top right where they love to put two flags. The drive on this tight hole is often played to the left-centre of the narrow fairway, setting up a shot from a level lie. From there, a short to mid-iron may be played, but it is important to avoid the five bunkers in front and behind, and you've got to find the fairway if you want to able to hit the green in two. REED SAYS... If you hit the fairway the green is fairly accessible. I've hit everything from a 7-iron to a sand wedge, depending on the conditions. An accurate drive is needed to avoid the fairway bunker on the right side, and with the wind blowing only the big hitters can carry the trap. It's virtually a blind second shot as you can't really see the green, and you need to hit a draw - but this uphill hole features trouble left of the green. Bruce Devlin scored the second albatross in Masters history here in 1967. REED SAYS... Whether you hit the fairway or hit it in the bunker, it's nearly always a lay-up. 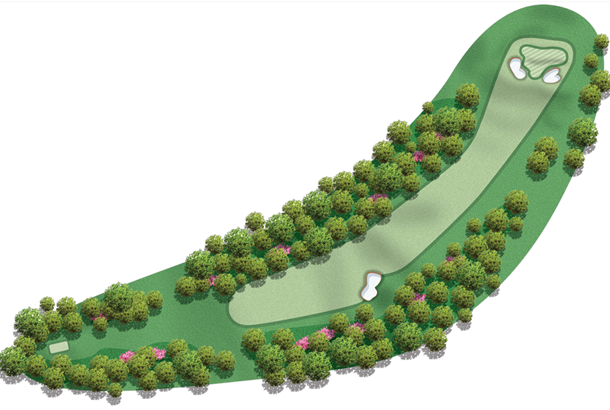 The good thing is that there's really not much trouble around the green, but it's still probably the second-hardest par 5 because of the length. It plays up a huge slope which makes it hard to get to the green even if the conditions are favourable. Best known for its green that slopes from back to front. Another hole that favours a draw; aiming down the right is best so the ball cambers down the sloped fairway, and it will also take away the two greenside bunkers on the left with your approach to the green. REED SAYS... This all about the second shot. Normally you're hitting your approach on a severe downslope as a result, and hitting up a hill to a three-tiered green. If you don't cover the ridges and finish on the wrong slope, it can be so tricky to get down in two. A long par 4, this hole turns left steeply downhill. Players will try to drive it to the left or centre of the fairway, hitting a second into a green that slopes severely from right to left. Prior to 1935, this was the opening hole at Augusta National and traditionally it is the most difficult hole on the course. REED SAYS... The hardest hole on the course, alongside the 11th. Even if you hit a good drive and draw it around the corner, you're still left with a 6, 7 or 8-iron in. The start of Amen Corner. Wind is often a factor, and humps and bumps throw balls out left here... right towards the water. 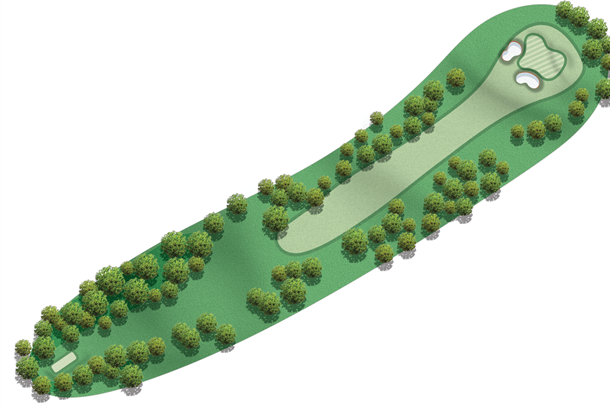 The tee shot plays downhill and left to right, and the addition of trees down the right have made 11 a much tougher driving hole. A pond guards the green to the left and a bunker is strategically placed right centre. This hole may be best remembered for Larry Mize's incredible chip shot in the 1987 play-off. REED SAYS... From the tee, the fairway looks a lot narrower and every second shot is played from way above your feet. When the wind swirls, it creates that doubt in your mind because you're trying to guess which club is best. It isn't easy. 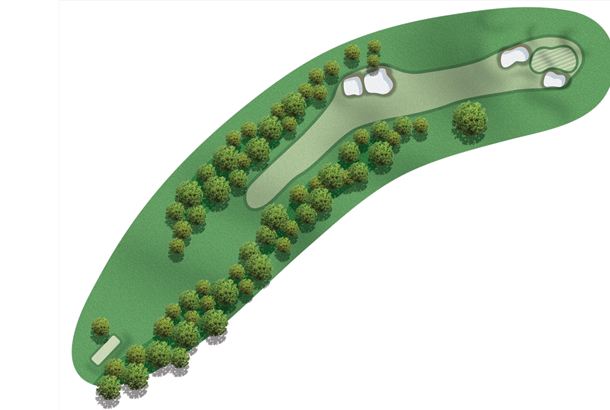 The shortest par 3 on the course, but with swirling winds, club selection can range from 6-to 9-iron. 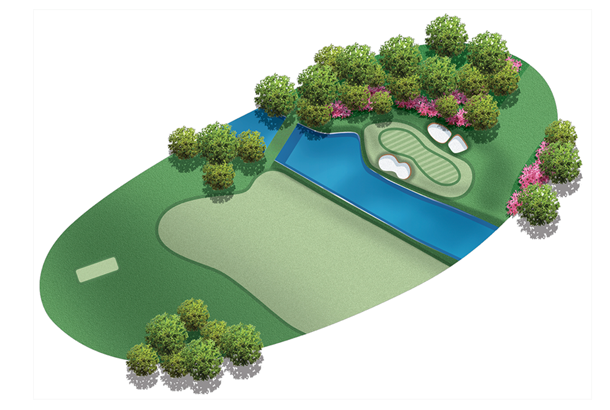 Rae's Creek in front, and three bunkers – one in front and two back – make it a necessity to land on the putting surface, which is nearly half the size of the average green at Augusta. End up in the creek, and it's not even an easy shot from the drop zone, just ask Jordan Spieth. REED SAYS... This is a tough, tough tee shot. Again, the hardest thing is trying to figure out what the wind is doing. The green is so narrow, front to back, that you have to be spot on with your iron shot. Fortunately, I was on Sunday and it's where I felt like I won the golf tournament. It seems like every year the leader goes to the 12th and something happens. So, when I made a 25-footer for birdie, I knew from that point if I parred in, I would win. 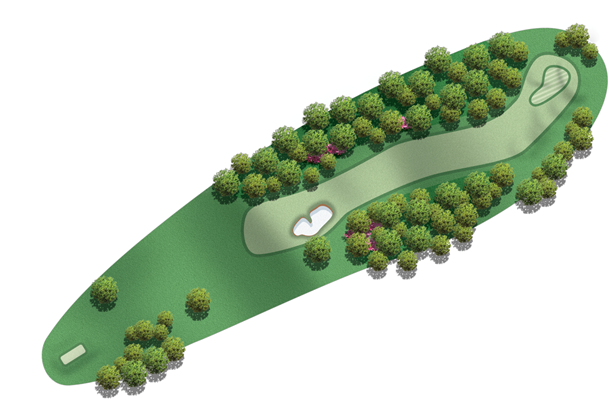 An accurate tee shot to the centre of the fairway will allow a player to go for the green in two if he desires. A tributary winds in front of the green, which is guarded by four bunkers. REED SAYS... This is a great opportunity for eagle. I actually had one in the third round last year. I don't feel like I hit my drive high enough to cover that corner on the left, so I have to try to turn it over. But if I can get the ball in the fairway, I know I've got a green light to attack the pin. REED REMEMBERS... On Sunday, I nearly went into the water with my second on 13. I thought I'd be comfortably over, but I picked a line so if it did land short, it would do so at a fairly shallow part of that bank and wouldn't trickle into the water. Plus, there's actually like a beach area there which is a hazard, but without any water in it, so I knew I'd be fine. Judging by the reaction of the crowd, they weren't so sure! The only hole on the course without a bunker, the green has significant contours and tiers down sharply left to right. Following a well-placed drive, the second will usually be a mid-iron. REED SAYS... 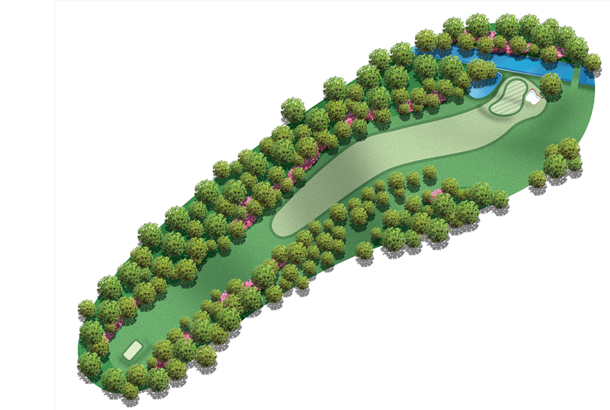 If you play the hole properly, it's a fairly straightforward par 4. But there's a tree on the left which overhangs and is like a magnet to my ball. I've hit that tree so many times! I did it last year, too. The best I could do was put it on the right edge of the green, leaving me with a putt which was 140 feet to a back-left flag. I had to go up three tiers and my caddie was up there, waving the flag, and I still couldn't see him. Somehow, I managed to two-putt which was probably the best two-putt I've ever made. 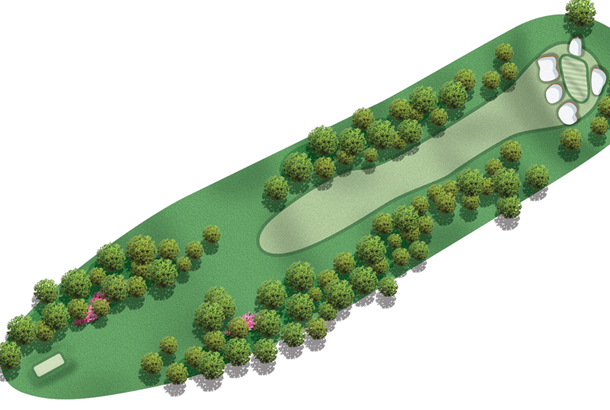 Many players will attempt to reach the green in two but as trees come out on the left, there's every chance your approach can be blocked even from the fairway. A well-hit second shot must be played over the pond and away from the bunker that guards the green on the right. Gene Sarazen hit "the shot heard round the world" when he scored an albatross here in 1935. *Note: Reed was on record setting pace on the par 5s last year, playing his first 12 in 13-under. REED SAYS... I think it's the hardest par 5 of the group. Even though the length isn't that bad, if you're just short of the green with your approach it will roll back in the water. REED REMEMBERS... I love to play aggressively and if there's any opportunity to take a risk, I'll do it. My caddie actually pulled me out of chancing my luck on 15. I had a two-shot lead and I was down the left, with loads of trees in my way. There was a decent size window and I was trying to talk him into threading my 7-iron through a gap – probably about five feet by five feet – on to the green. He just looked at me and said, 'You're two-up. Lay-up, knock a wedge on the green and try and make a putt that way'. The only hole played entirely over water, and the green is protected by three bunkers. With the green significantly sloping from right to left, an exacting tee shot is required to have a reasonable birdie opportunity. REED SAYS... I bogeyed the hole two of the four days, and three putted it twice, so I probably know better than most the pitfalls. The contours on the green make it really challenging trying to get close to a right pin, but on Sunday they like to use a back-left flag which is a lot kinder, and offers up a good birdie chance. 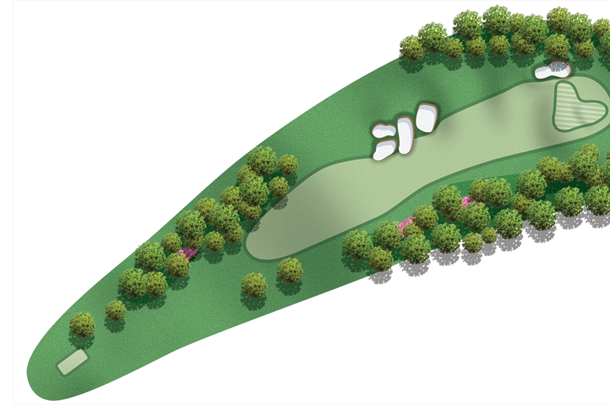 This par 4 requires a drive near the crest of the hill, and hitting the narrow fairway is crucial: Finding the three-tiered green is almost impossible from the trees thanks to the two bunkers in front. The Eisenhower Tree once stood left centre of the fairway, but was removed after an ice storm in 2014. REED SAYS... I've struggled with the tee shot in the past. Any drive into the fairway leaves quite an easy short iron in. But if you miss the fairway left or right, it's so challenging trying to get the ball anywhere close to the pin. This uphill dog-leg right is protected off the tee by two bunkers at the left elbow. Before Augusta was lengthened, players would carry those left traps; now they're very much in play. A drive hit down the centre of the fairway will often require a mid-iron for an uphill second shot, to a green guarded by two bunkers. REED SAYS... You can't really see on TV, but 18 plays severely uphill from the fairway. There are times when you might have 165 left to the pin but because of the slope and the wind, it's more like 195. It's a challenging one to figure out what club to hit for the second shot.